PHOENIX, AZ--(Marketwired - Jun 11, 2013) - Creating a caring environment is integral to the mission of Murphy Orthodontics. Not only do he and his staff strive to create a warm and welcoming atmosphere for his adult and kid orthodontic patients at his office, Dr. Murphy is also a very active member of the local community, donating his time and his resources to a variety of charities. For his most recent community service endeavor, Dr. Murphy promoted participation in the "1k/5k Walk to Stomp Out Ovarian Cancer," also known as the Teal Trek, hosted by the Ovarian Cancer Alliance of Arizona (OCAZ). This April's Teal Trek is not the first ovarian cancer walk that Dr. Murphy has demonstrated active support. He not only encourages his staff to join him for such events, but also contacts all of his neighboring medical practitioners to solicit their support as well. The results of Dr. Murphy's advocacy speaks for itself, as witnessed by high staff participation for the OCAZ's Teal Trek and several local practices also participating alongside Murphy Orthodontics. In addition to the local medical community, Dr. Murphy's practice also invited their patients to join the staff and attend the event. All proceeds from the Teal Trek were raised for the benefit of the Arizona Ovarian Cancer Survivor & Research Initiatives. Dr. Murphy has a very active record when it comes to community outreach. He recently donated discounted dental services to four silent auctions for local elementary schools and community events. For the past four years, he has awarded a scholarship to a graduating senior through the Murphy Orthodontics Scholarship Program to help students cover the cost of their tuition or textbooks. The first recipient of the scholarship went on to study at Harvard University and subsequent recipients have gone on to study such fields as marine biology and chemical engineering. Dr. Chris Murphy and Murphy Orthodontics demonstrates their care for the local community both inside and outside of the office. The Phoenix orthodontist hopes his commitment to donating his time, energy, and resources encourages his neighboring colleagues and his patients to give back to the community in their own ways. 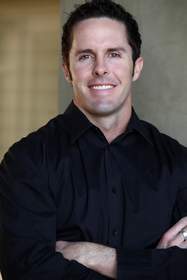 Dr. Chris Murphy is a board-certified orthodontist and the founder of Murphy Orthodontics. A graduate of Southern Methodist University, Dr. Murphy earned his Doctor of Dental Surgery degree from the University of the Pacific Dental School. Dr. Murphy also earned a Master's degree in orthodontics at the University of Texas Health Science Center in Houston where he studied a comprehensive range of orthodontic treatments including Invisalign® and Damon braces. One of Dr. Murphy's articles, published in The Angle Orthodontist, is considered required reading for any orthodontist seeking board certification. Dr. Murphy is available for interview upon request.